I had 15 pieces at “The MISSION” in the North Park area of San Diego, Ca. The Exhibit had original paintings and giclee prints on canvas. 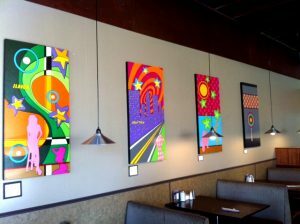 Works will hung in November/October 2011.